Choosing the stationery for your special day is a big decision during the wedding planning process. Working out what you need is one thing, but you’ll also want to pick colours and a design that perfectly complements your day. With so many options available online, it can be hard to know where to start. 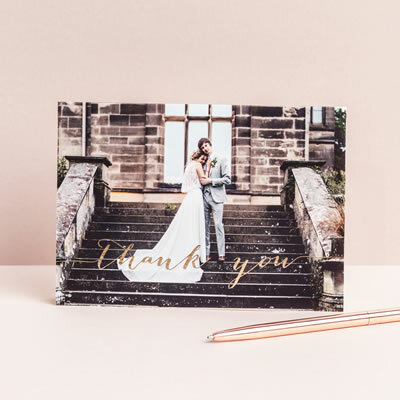 We offer complimentary wedding stationery consultations to help you find the style that’s right for you, whether that’s a bespoke design or one of our luxury collections. 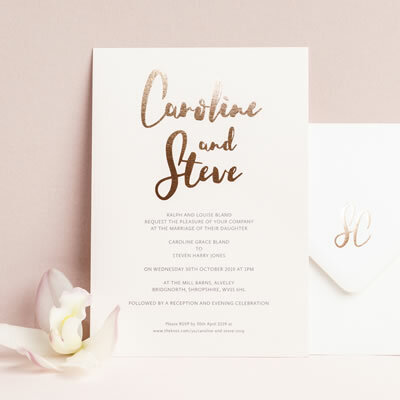 Visit us to see our extensive selection of samples for yourself, browsing foil and card colours, examples of invitations, and on-the-day stationery. 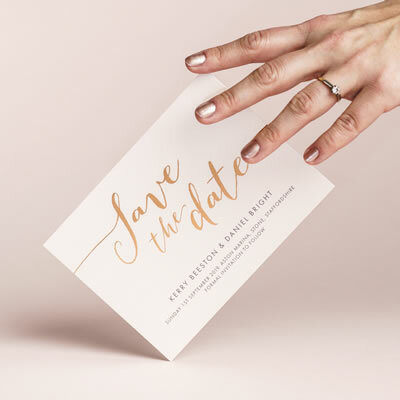 We’ll meet in our Chester showroom to discuss your ideas, share our design expertise, and work together to create your dream wedding stationery set. To book your tailor-made appointment, fill in the details below and we’ll get in touch to arrange a suitable time. Have you seen anything in our collections you like the look of or are you after something totally bespoke? If you have a wedding theme or colour scheme, please tell us about it. Feel free to send us any images you’ve seen as inspiration. Please let us know when you’re free and we’ll get back to you with availability. We are open Monday to Friday 9am to 5:30pm. How did you hear about us? * Please send me advice on ordering my stationery. Consultations are by appointment only and take place at a time that suits you. Often, the meeting lasts around 60 minutes, but we don’t set a time limit - if you would like to look at additional samples or ask more questions while you are here, that’s fine by us. There is absolutely no obligation to buy, you can request a quote on the day or take away your personalised sample pack and decide later.